I decided it's time to break from the holiday cards :) I pulled out some chocolate chip, pretty in pink and certainly celery ink and started this card by stamping my own background paper. I did some inking on the edges and ran it through my cuttlebug to give it texture. I was going for a girly feel and added lace & the crochet flower in order to achieve that. 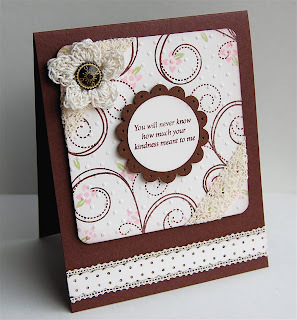 The sentiment is center stage, popped up on a scallop circle. 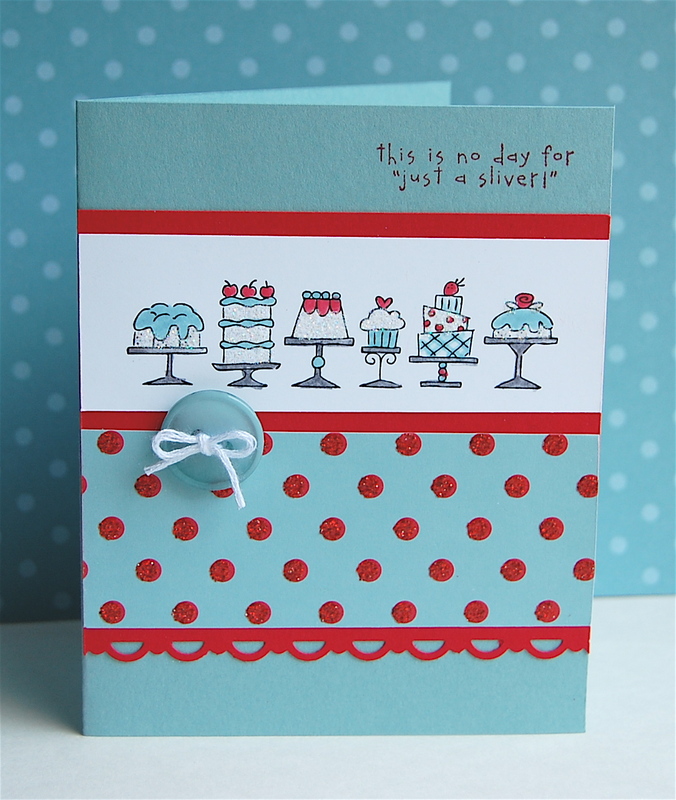 I even added some piercing to the scallop to go along with the polka dot embossing folder & the scallop ribbon trim at the bottom of the card. This card was made using this weeks SSC Card Challenge. I hope you and your little ones have a fun & safe Halloween!! 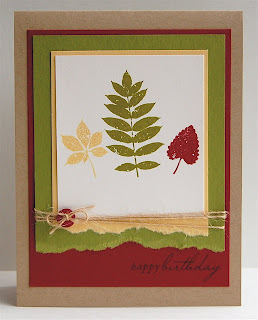 Today I'm sharing a card that was inspired by another I saw recently while doing my morning blog hopping. It features SU! 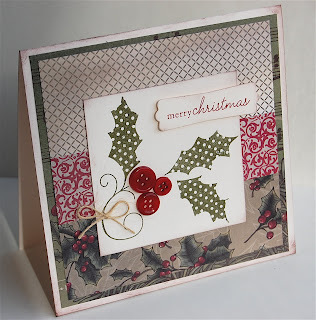 Deck the Halls paper and Holiday Button Bits by PTI. 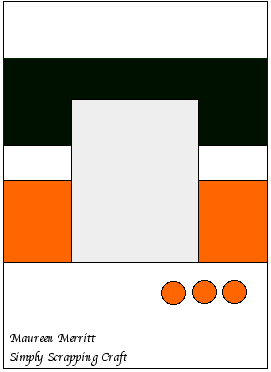 This is a fairly simple 5 x 5 card, made by layering lots of the coordinating sheets of the dsp. SU! 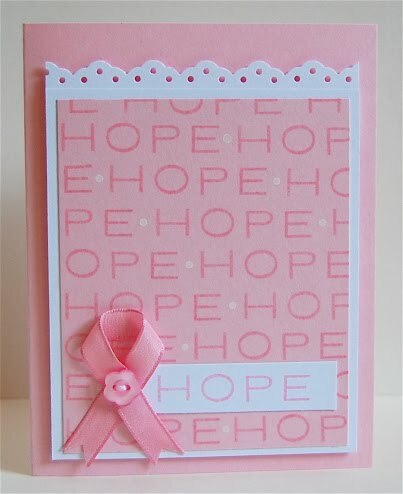 makes it so easy by packaging all of this wonderful paper together, as the card maker, all you have to do is create :) All I had to do to finshed it off was add a little distressing, some buttons and a sweet bow. Hope you are having a great Sunday! Thanks for coming by! 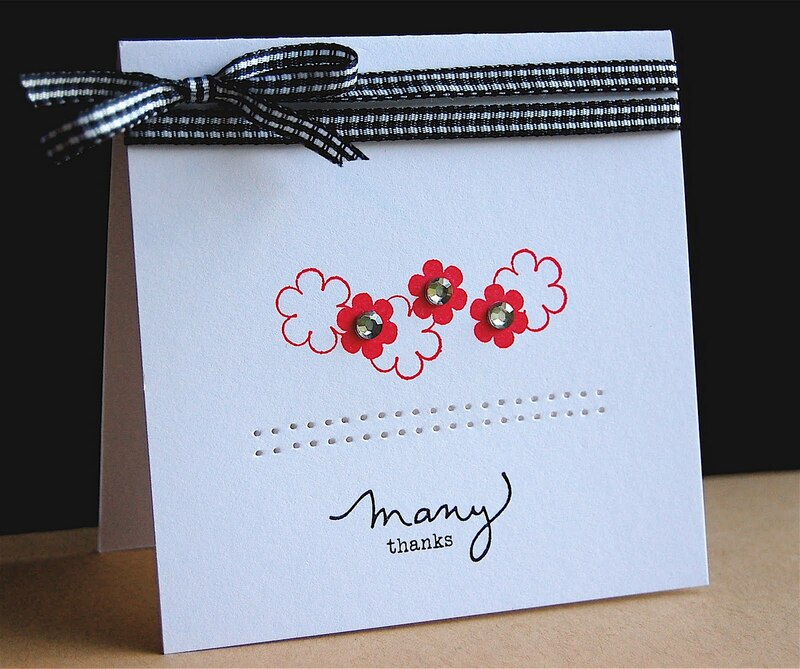 We at Simply Scrapping Crafts would like to thank you for making our very first Blog Hop such a smashing success! 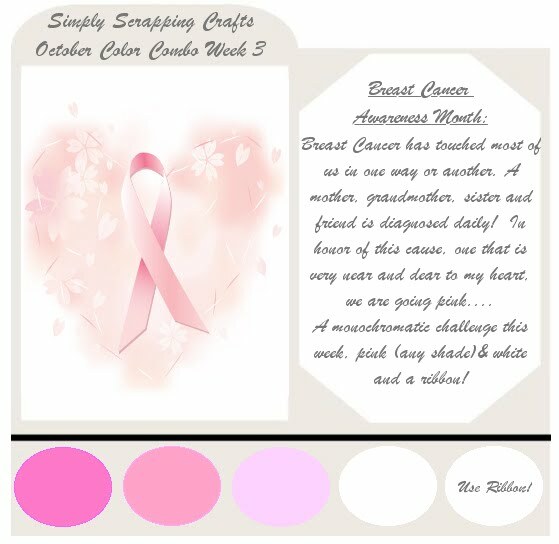 We had so much fun creating our projects for you and hope that they inspire you to create ones of your own and share them with us! Before I get to my card today, I'd like to thank everyone that came by yesterday for the SSC blog hop. I loved reading each and every comment, you ladies put a huge smile on my face! Thank you! 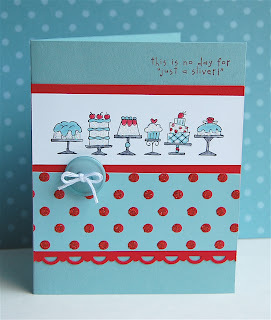 Today I am sharing a card I made for this weeks Limelight sketch. 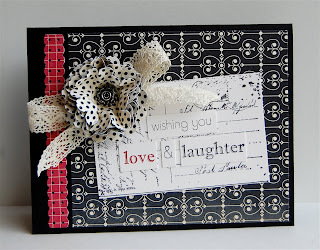 I used Basic Grey's Capella paper line and a handmade flower I won on Mandy's blog (owner of Limelight)...thanks Mandy :) I inked the edges of the patterned & kraft paper in black ink, just to make them pop a bit. Pretty straight forward I think!!! I hope you've enjoyed your weekend. I hope atleast it was better than ours! My little guy has strep and is recouping !!! Finally his fever broke and I think he just might be able to go to school tomorrow! I feel so bad when they are sick and it's exhausting!!! Here's to a healthy new week! Welcome to Simply Scrapping Crafts First Annual Haunted Hallow Hop! We have quite a line-up for you today filled with lots of tricks and treats! Now what would trick or treating be without candy? Eye candy that is! Our DT has been busy at work in Dr. Jekyll's lab creating just the right formula to inspire your hauntingly sweet projects this year. Be sure to comment all of the blogs along the way because we have "hidden" some extra special treats along the way. There is no way to tell where we have them stashed, so be sure not to miss out! Some of our hop hosts are giving an extra entry for becoming a follower. Who doesn't appreciate more chances to win right? 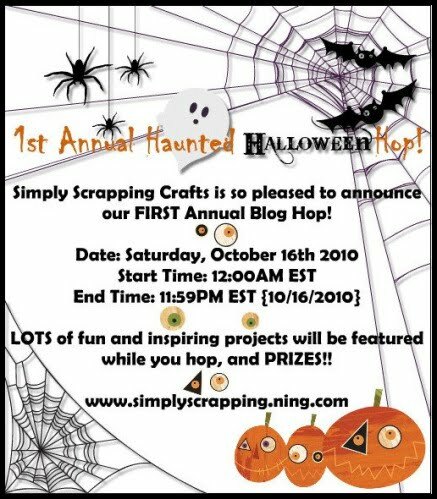 All winners will be announced on Tuesday, October 19, 2010 via the DT blogs and also in the hop room at SSC, which can easily be accessed here . 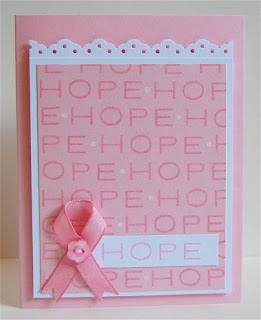 You have until 11:59PM EST tonight, October 16, 2010 to comment for your chance to win. All you need to do is click on each link and leave a comment as you hop along to the end of the list. Are you ready for a frightfully wicked Haunted Hallow Hop? Let's get to hoppin'! I hope you've been having a fun hop today. 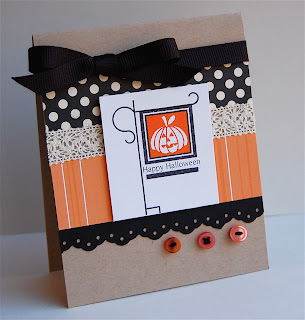 I have a little Halloween card for you today! 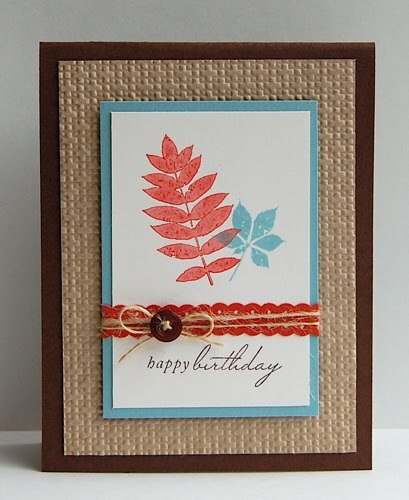 When making cards, you know I like to keep them clean & simple. 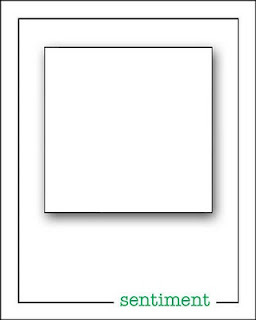 This one is versatile enough to use for the young or the old. 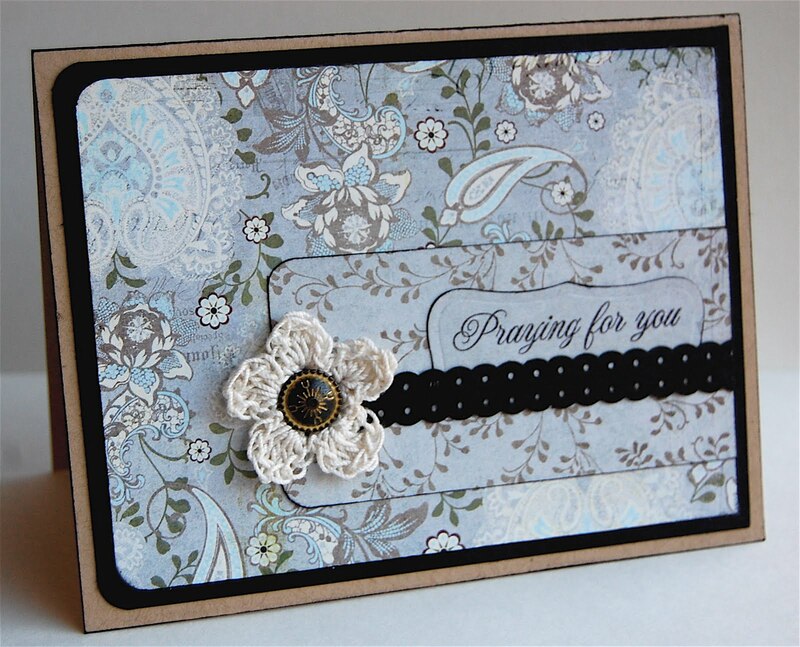 A combination of scraps, lace & ribbon makes for a quick and easy to reproduce card. I'm on a mission! What's the mission you ask? Make more male cards!!! If you've visited me before then you have seen other attempts. This mission seems to be getting easier the more I work at it! 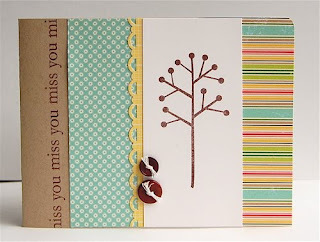 Yes, I totally prefer a good CAS card made with beautiful printed papers...but, I think this is pretty darn nice :) Having supplies that are geared toward men also helps. I purchased Papertrey Ink's Masculine Motifs & SU! Square Lattice Texture folder (I'm not sure if I got the whole name right?) just for this reason. 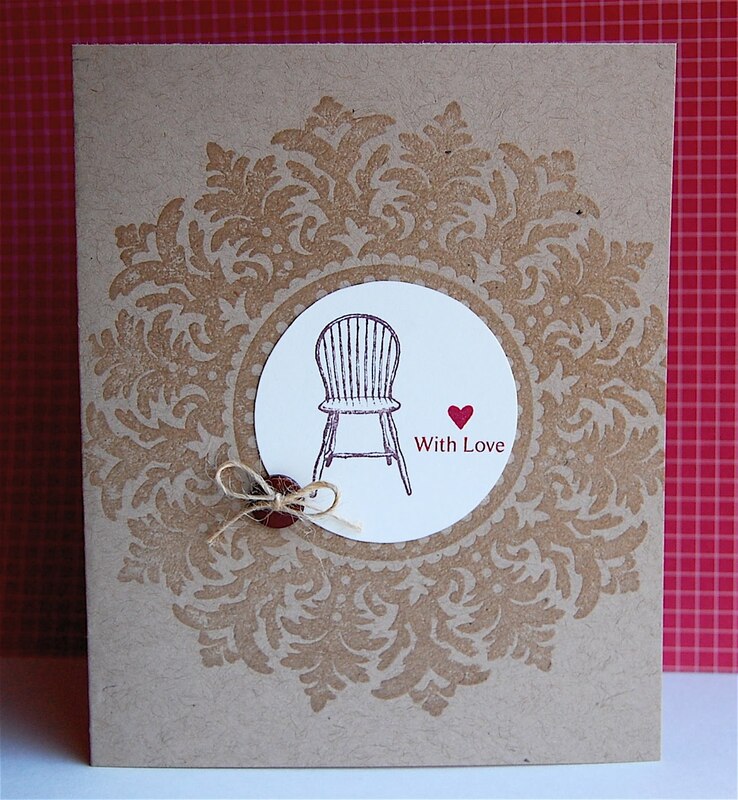 Once again, I couldn't resist the button & twine bow! 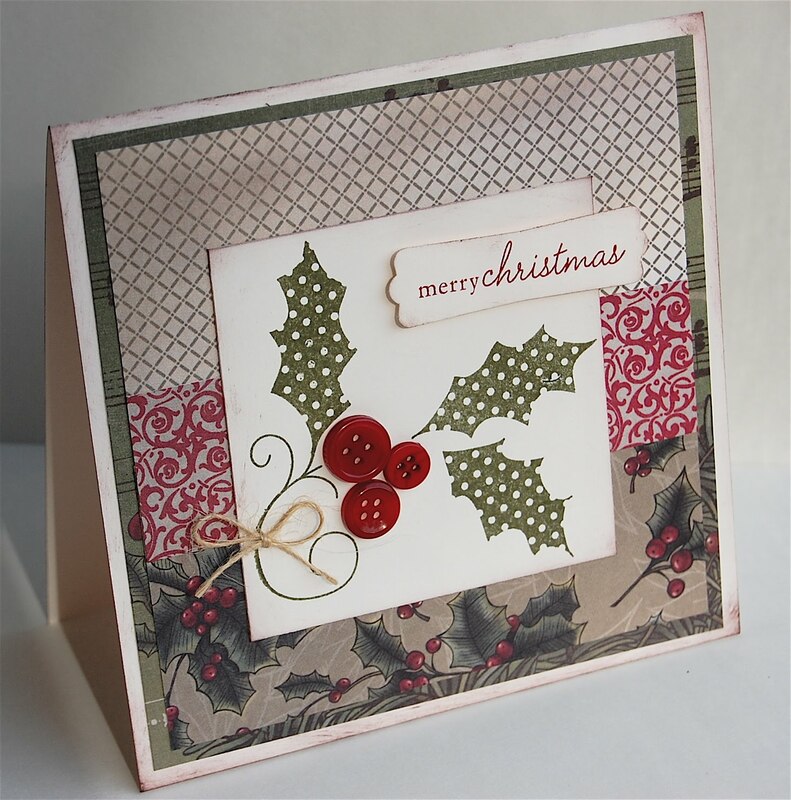 I made this card using this weeks SSC Stamp & Scrap challenge. It's an awesome one, so head over & join us!!! 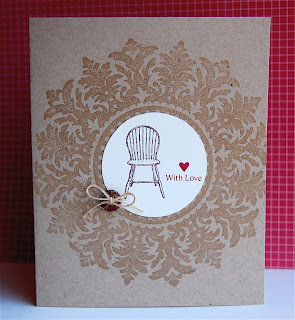 This is a card from me to my stamping room, LOL! I haven't stamped a thing since last Thursday. Oh my, I think I'm about to go into withdrawal! No wonder I was so cranky yesterday!!!! I will stamp tomorrow, if it's the last thing I do!!! 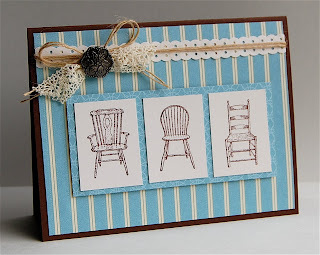 How do you fit stamping into your routine? 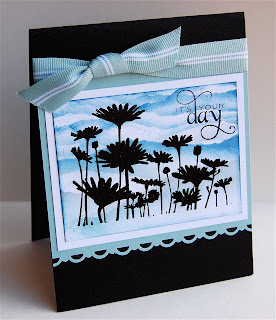 Do you stamp daily or in large chunks? I'd love to hear how you get it into your day! Super quick post today ladies, I'm off and running again. Still waiting for time to Slooowwww down!!!! 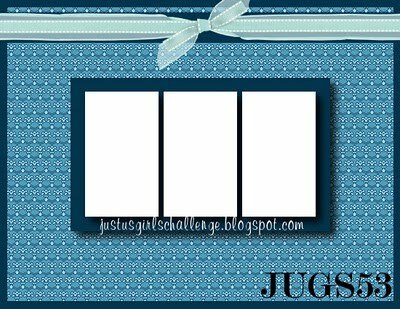 "Just Us Girls" turned one :) Congrats!!!! Always so much inspiration there!!! 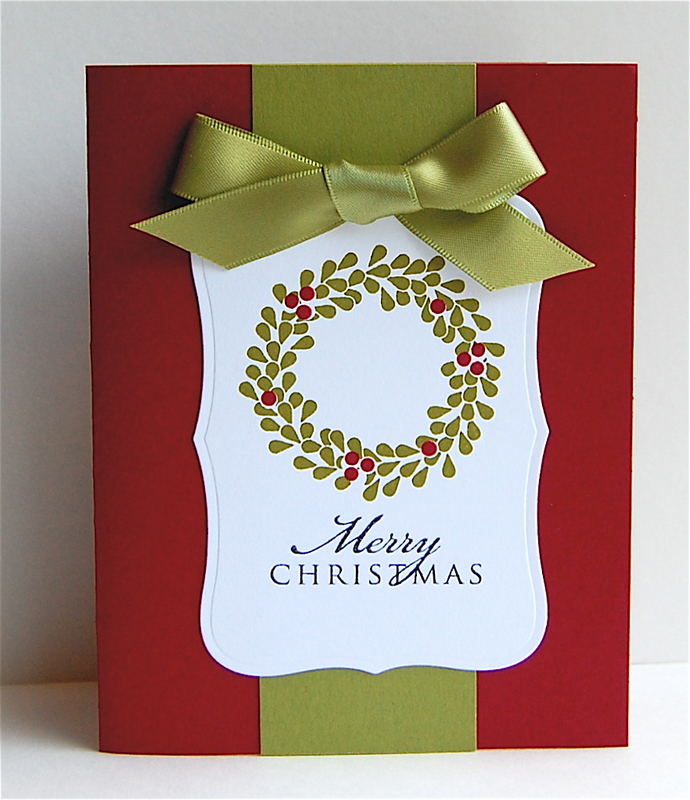 I hope everyone enjoyed the WCMD festivities yesterday. There was so much going on it was hard to choose where to play :) Luckily most challenges are continuing for the next few days!!! I decided to try something new and played along with the Hero Arts challenge! I have a few of their stamps & absolutely love them. 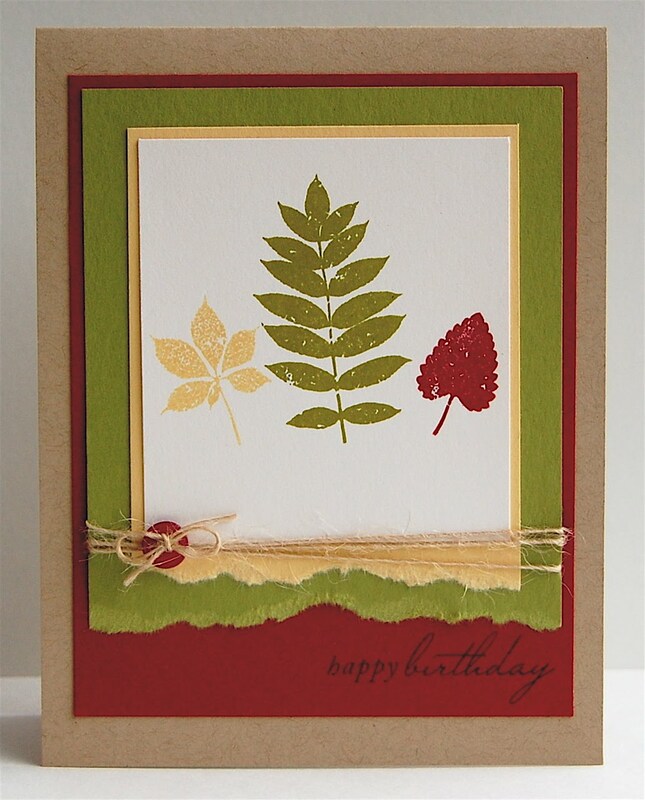 The challenge there was to make a card using your favorite color/colors. 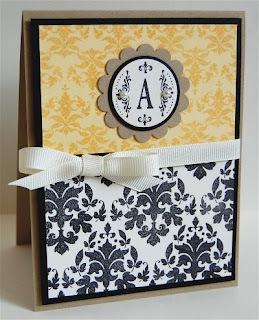 I tend to stick close to the neutral color palette when papercrafting, kraft is my BFF. Green is my favorite color irl, and so this creation came about!!!! Off to watch the Amazing Race, anyone else a fan? 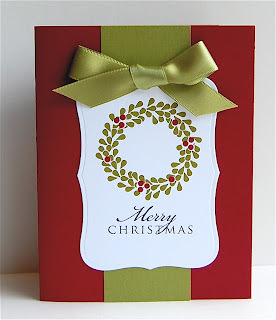 Be back tomorrow with more from WCMD :) See you then! Happy WCMD!! I hope you are doing something fun to celebrate today :) My card today is a part of a WCMD challenge at Simply Scrapping Crafts, I hope you'll stop by and join us! 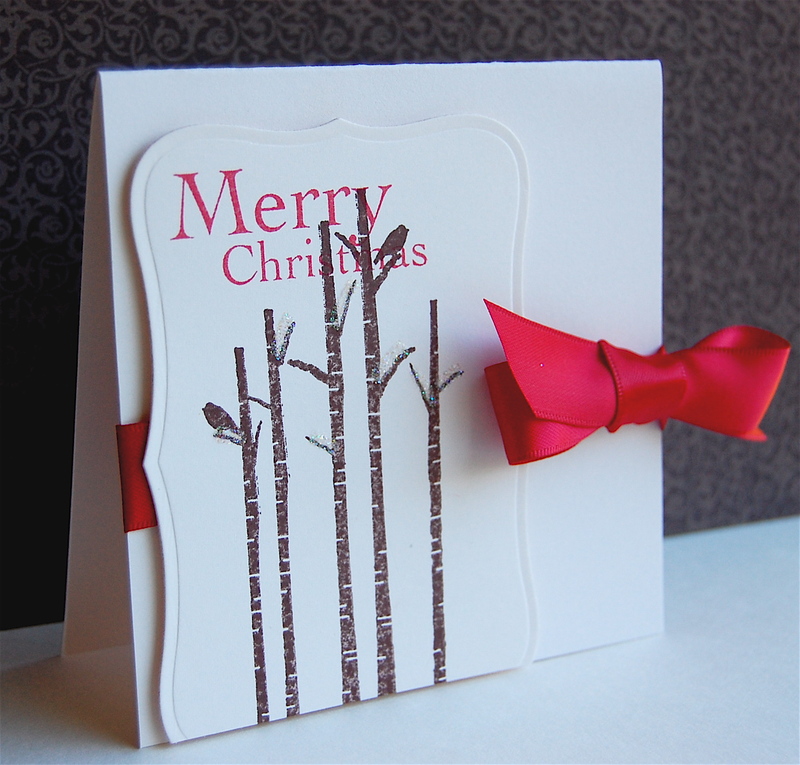 This also happens to be one of the cards I will be sending out for Christmas this year! 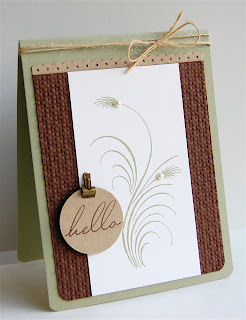 A very simple, easy to mass reproduce card!!! Have a great day, celebrating our wonderful hobby & passion! 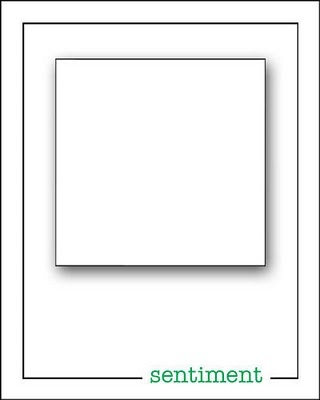 I can't wait to see all of the amazing cards created today!!! It's time for another Limelight Sketch. I loved the CAS sketch this week. 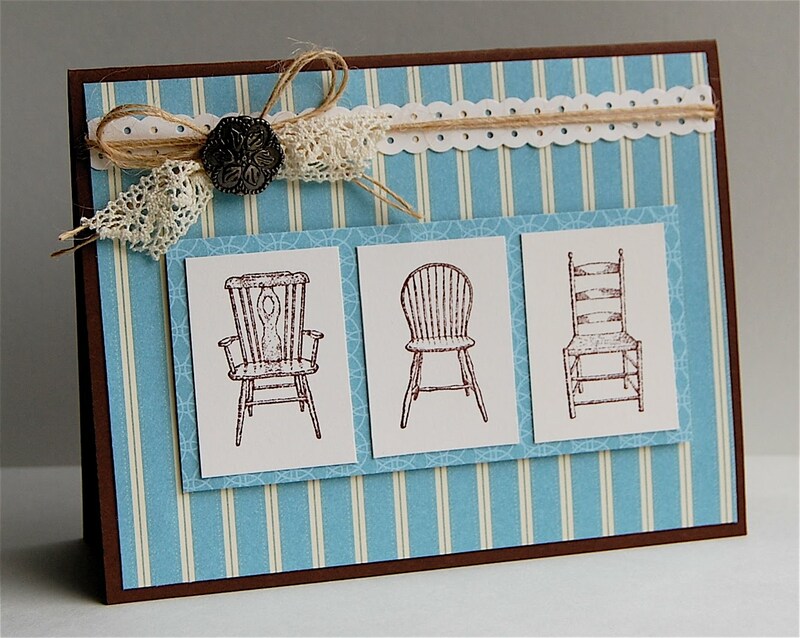 I've been on a mission to make more masculine cards. This is another attempt at masculine...I think I like it :) Tearing the edges and adding a bit of twine add a bit of a masculine touch, right? I just couldn't resist the button!